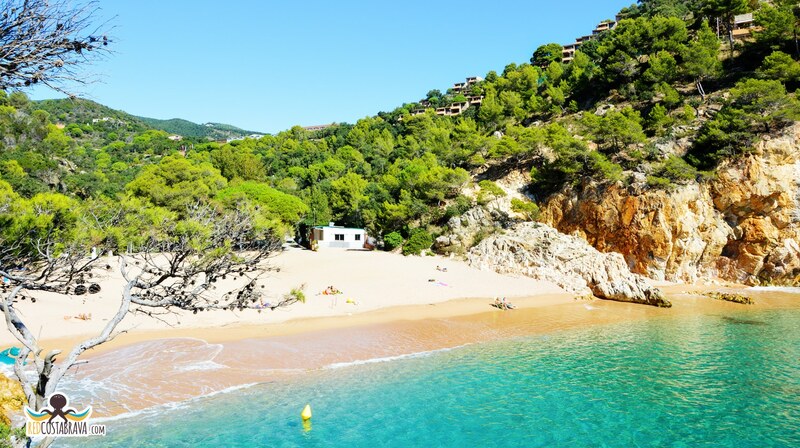 Following the almost 800 km of the Costa Brava Coastline, you find wild coves with turquoise waters, great sandy beaches, such as the Costa Daurada, or hidden beaches, only half an hour away from Barcelona. It’s up to you to choose the territory and type of coastline, depending on the needs of your audiovisual project or photographic shooting. 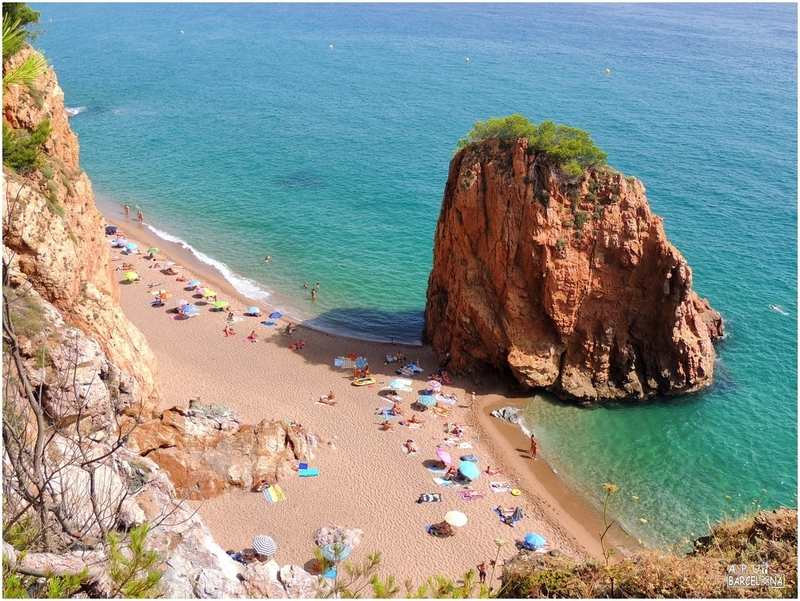 You will find on this Catalan coastline some of the best beaches in Spain. There are postcard ones and beaches for all tastes, of stone or fine sand, with cliffs, or savage, extensive sandy areas, hidden ones, and urban or quiet corners. 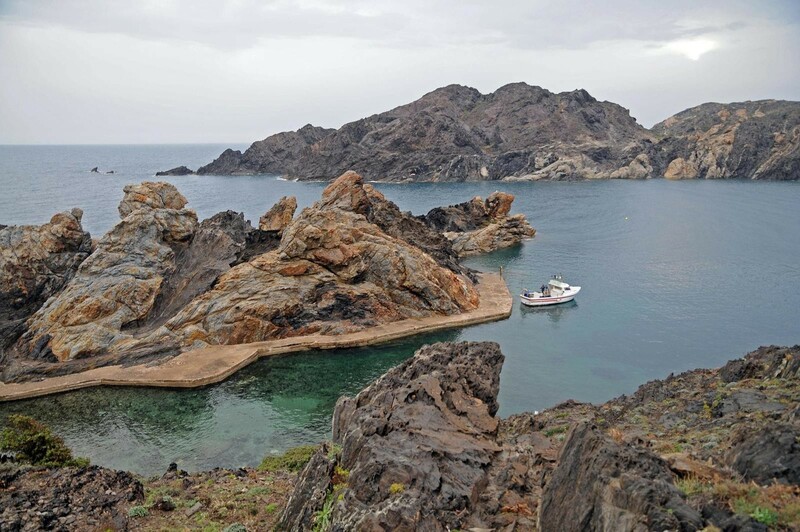 In the north of the Costa Brava is Cap de Creus located, it is an extension of the Pyrenees towards the sea and the easternmost point of the Iberian Peninsula. 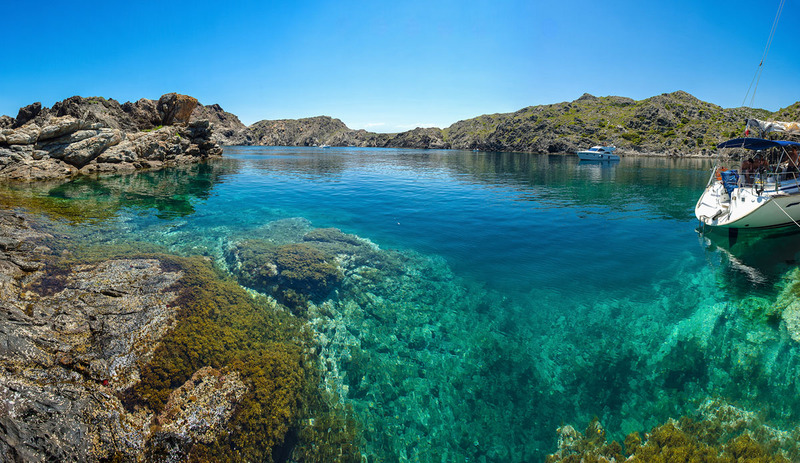 The Cap de Creus concentrates in a small geographical area many lovely coastal corners. You will find here some of the most spectacular coves in Spain, such as Cala Culip, with a spectacular geology and sea, Cala Prona, Cala Jugadora or Cala Culleró. Small havens for your audiovisual project. 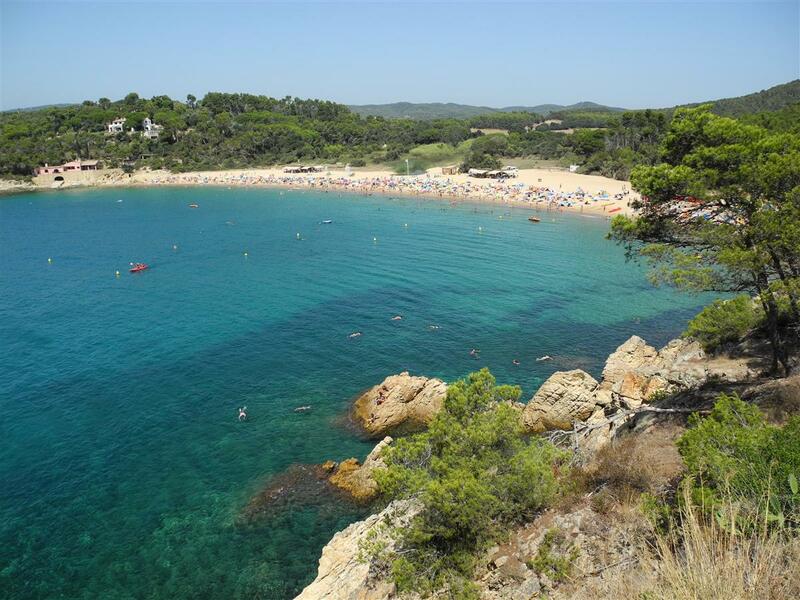 It is one of the few sandy areas of the Costa Brava that is still totally virgin. It is shaped like a crescent of about 300 meters of fine sand, surrounded by pine forests and fields that are irrigated by the channel of l’Aubi, that ends on the beach. In addition, there is a series of archaeological remains of great value, such as, at one of its ends, an Iberian settlement, dating from the 1st century AD. Sea and history, for your audiovisual production or photographic shooting. In this small cove, surrounded by a spectacular environment, we find all the features that make the Costa Brava famous: cliffs, pine forests and turquoise, crystalline waters, for your audiovisual project. 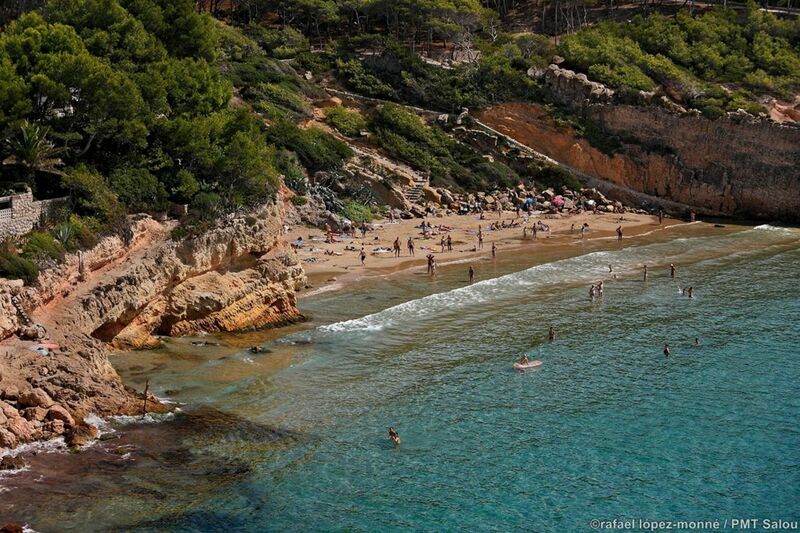 With no more than 100 meters in length and its fine golden sand is this cove one of the most famous ones in Catalonia. Originally it was a seaside neighborhood, and it still retains that charm, with some beautiful traditional houses that endow the place with a picturesque air. 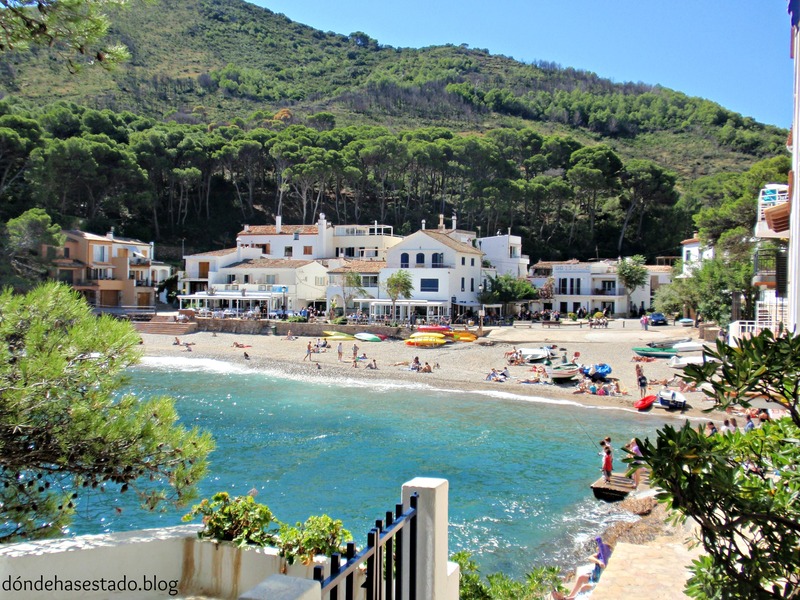 Sa Tuna is a semi-urban cove, located in the municipality of Begur. The beach, of about 80 meters of gravel, is located next to a path that invites you to explore the surroundings, enjoying the views. It is protected from waves and currents by Punta d’es Plom, so its clear water is normally calm. A cove worthy a postcard picture, for your photographic shooting or audiovisual production. 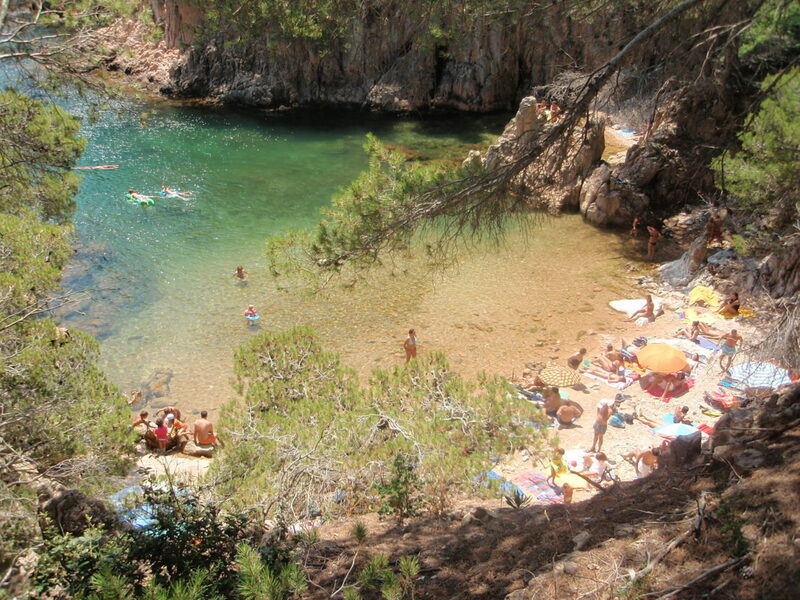 The cove of Illa Roja, located in an idyllic setting of rocks and pine trees, is characterized by its transparent waters. Its name is “Roja” because it is dominated by a prominent rocky island of a reddish color. It is a quiet place, with coarse-grained sand of a golden color, with a steep entrance to the sea. It is a nudist beach of international prestige, surrounded by a rugged environment and ravines. A small oasis hidden in nature for your audiovisual project. 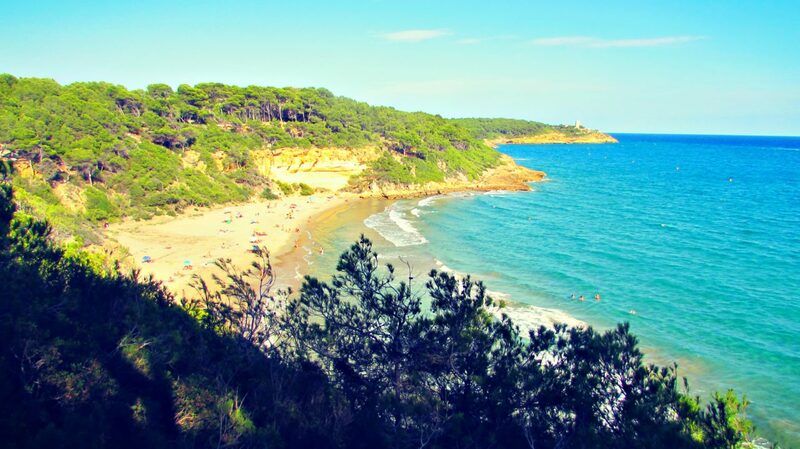 This beach is located in the municipality of Tamariu, in Palafrugell, and it is the point of arrival of a path that passes through pine forests and a part of Cala Pedrosa. Its dimensions are small, but the beauty of this enclave is unforgettable. It is one of those magic coves, ideal for your audiovisual production or photographic shooting. 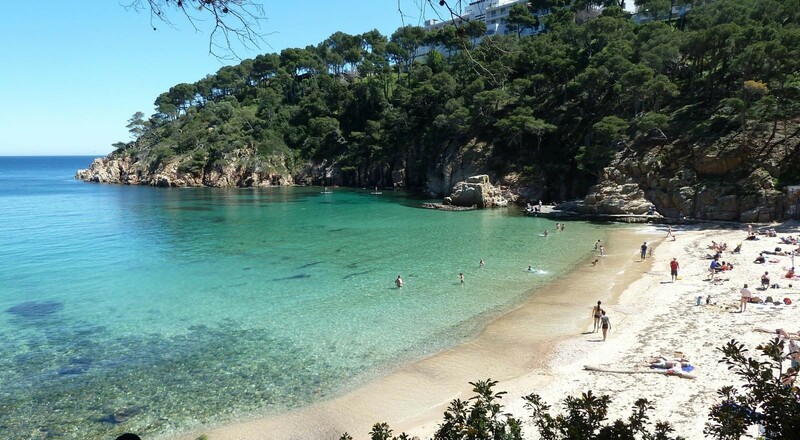 Only 4 km away from Tossa de Mar you will find this characteristic cove, with thick golden sand and crystal clear waters to which the surrounding mountains, completely covered with pine trees, descent. The sea is calm, so it is ideal for your audiovisual project. 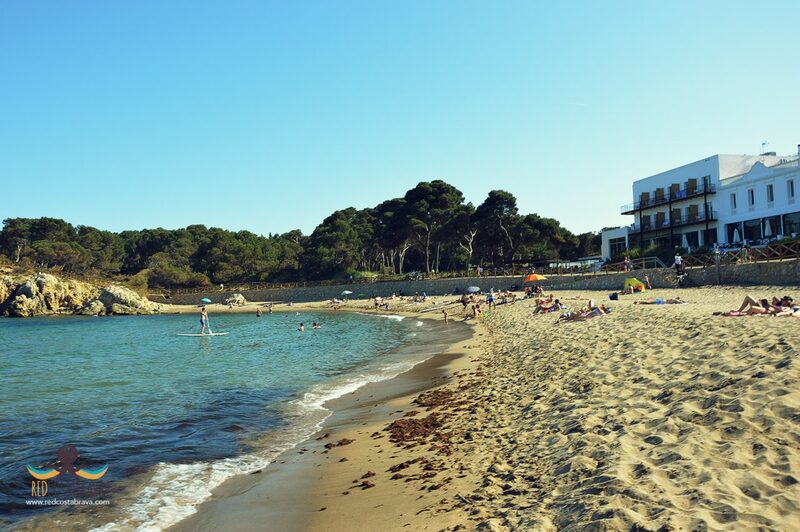 This beach of fine golden sand and calm waters is located between rock formations and pine forests, it can be reached on foot from the seafront of Empúries. Nearby is a viewpoint with beautiful views of the Bay of Roses, the coast of Empúries and the town of l’Escala. The beach is a spectacular background for your photographic shooting or audiovisual production. This beach of fine sand and stones, with a length of 380 meters, was once a small seaside neighborhood. The wooden huts, with their characteristic white and green colors – the sailors used them to keep their tools – are still conserved. The beach thanks now its name to them. 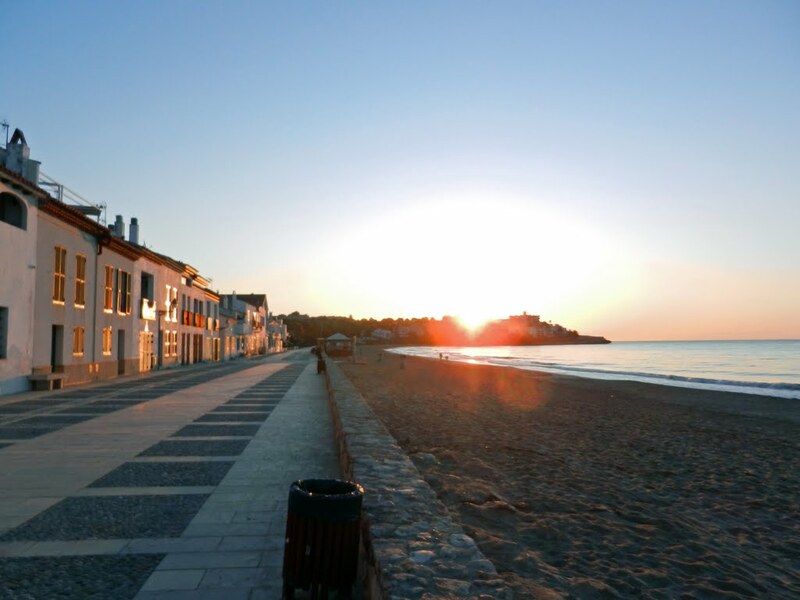 It is located in the urban center of Garraf and it is a charming urban beach for your audiovisual project. This beach is one of the most beautiful ones on the rocky coast of Tarragona. It is small and intimate, characterized by an eroded rock formation in the shape of a wall. It is accessible through a staircase that descents to the sandy area. Wild beauty, for your audiovisual production or photographic shooting. 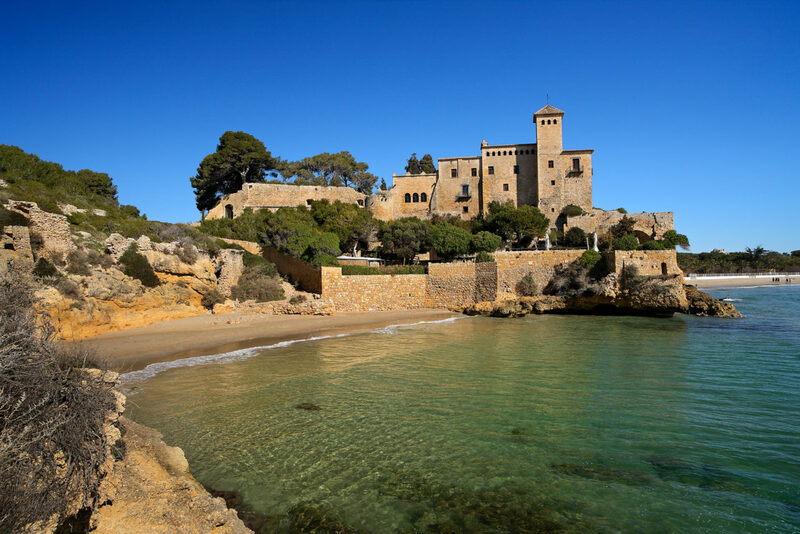 The Cala Jovera is a small beach at the foot of a castle, which makes it one of the most picturesque ones in Catalonia and ideal for your audiovisual project. On this cove, with fine golden sand and calm waters, are also still the remains of an old walled town, dating back to the eleventh century, visible. La Cala Fonda, or, popularly, Waikiki, is a coarse-grained beach with a difficult access that still maintains its wild beauty. 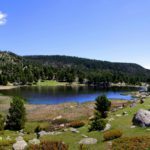 It is located in the Marquesa Forest and well-known by nudism lovers. This paradise, near Tarragona, can be reach from the popular beach of La Móra (to the north), and from the beach Larga (to the south). It is undoubtedly worth your visit, for your photographic shooting or audiovisual project. Strolling through the beautiful old town of Altafulla is like traveling through time. Immerse yourself in the marine environment before visiting this beach, urban, somewhat further away. It is a charming background, full of white fishermen’s cottages on its seafront, and an ideal location for your audiovisual project. 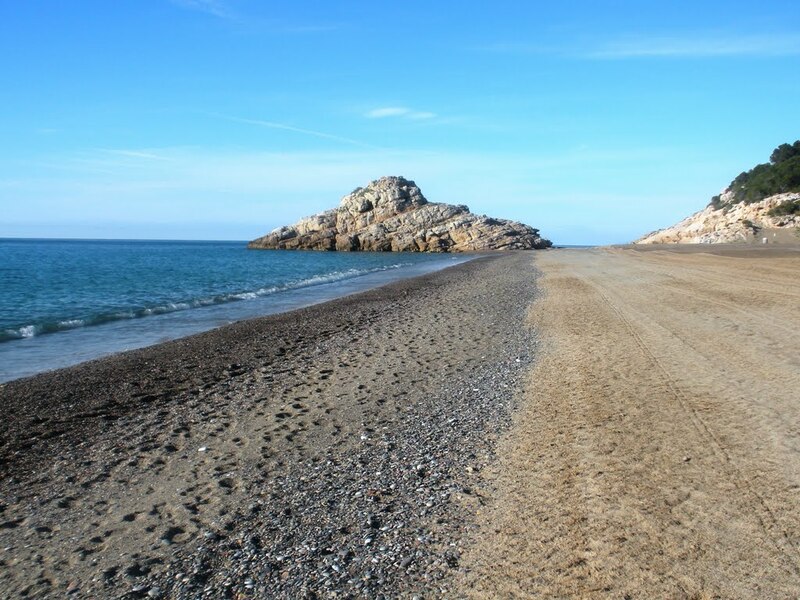 The El Torn naturist beach is located near the municipality of Hospitalet de l’Infant, on the Costa Daurada. It is characterized by a clean coastline of crystalline waters. Its 2 kilometer of sand will allow you to find practically deserted areas for your audiovisual production or photographic shooting. It is a declared area of natural interest, and surrounded by pine trees and mountains that descent to the sea. Playa del Fangar is an extensive tongue of sand that closes the Delta del Ebre in the north. As the peninsula of the Fangar lengthens, it narrows and curves, until it encircles a large amount of salt water, forming an interior sea, known as the Puerto del Fangar. 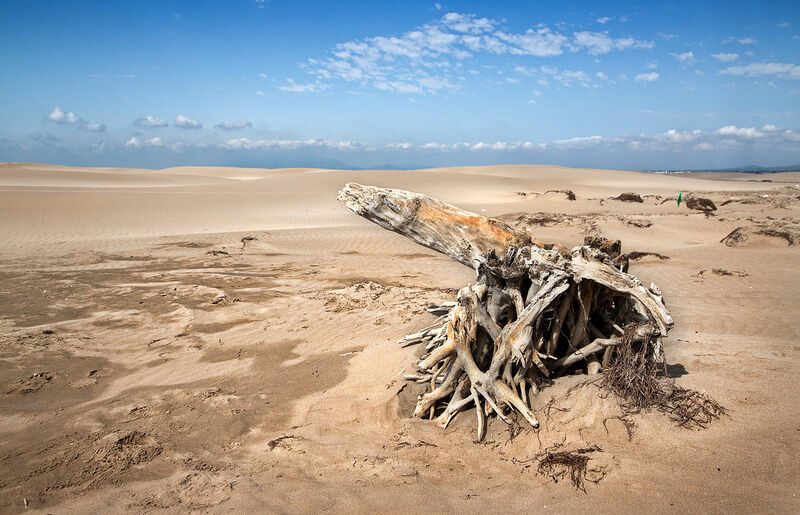 The Playa del Fangar, with its semi-desert and virgin aspect, is one of the most unique spots in the Delta del Ebre. Its sand is of a fine texture and the environment is spectacular for your audiovisual project.